As your business expands, you will need to consider taking on staff; indeed, the nature of your business may be such that you require staff from the outset. Regardless of the point at which you become an employer, you will need to consider payment. Clearly, your business finances will, to some extent, determine the level of payment that you can offer to prospective staff, although there are certain legal requirements that must be met. However, a fair payment regime will help to encourage loyalty amongst your staff, and should be seen as an investment in productivity. When considering payment regimes for your staff, there are a number of factors that must be addressed from the outset. 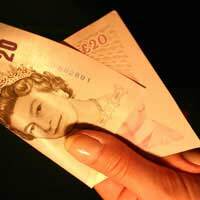 In the first instance, you must ensure that meeting your legal requirement to pay the National Minimum Wage. The amount that you are required to pay your staff depends on their age, but adults aged 21 and above must receive at least the equivalent of £6.08 per hour. The only exception to this is if you are employing certain groups of trainees through a recognised and accredited scheme. Those aged between 18 and 21 must be paid at least £4.98 per hour, while those aged 16 to 17 must receive at least £3.68 per hour. You have a legal obligation to keep records proving that you are paying the relevant amounts, although this should not require any more work from a management perspective; you should be keeping records of pay for accounting purposes anyway. It is important to remember, however, that your staff are what keeps your business ticking over. They should be valued highly, and their payment should reflect this. While you and any other directors may take on the management roles, it is frequently the lowest paid staff who perform the necessary tasks that keep your business running on a day-to-day basis. This discrepancy between value to the organisation and pay received is bad for all involved; workers are not in a financial position commensurate with their responsibilities, while management frequently end up with a workforce that resent their employer. The importance of signifying employees' worth through pay cannot be overstated. Where finances allow, you should therefore ensure that you are paying your staff at least the industry standard for the job that they are performing. If money is tight, you may find that recruiting privately means that you can pay more, as you will not have to pay agency fees. In many cases, however, small businesses lack the resources to pay their staff as well as they would wish. In these cases, you should investigate other ways in which you can encourage staff satisfaction. This might include things like extended holiday allowances, or days off for birthdays. This is helped by the fact that many individuals are willing to work for less in the creative industries, as they have an existing passion for the work and may see it as a stepping stone on the way to a higher paid job. When looking at payment, you should consider consulting with staff to ascertain their wishes. Even if you cannot fulfil these wishes, the fact that you have taken an active interest will almost certainly help to develop trust between employer and employee.